The Polish Pottery Dish is an exceptional piece of Polish Stoneware crafter`s artwork from Boleslawiec, Poland, and is ideal for serving appetizers or side dishes. Because of the high-quality clay used to make Polish Pottery from Boleslawiec, the serving dish is safe to put in the oven, stove or microwave. The glaze that covers it makes it dishwasher-safe and extremely easy to wash! 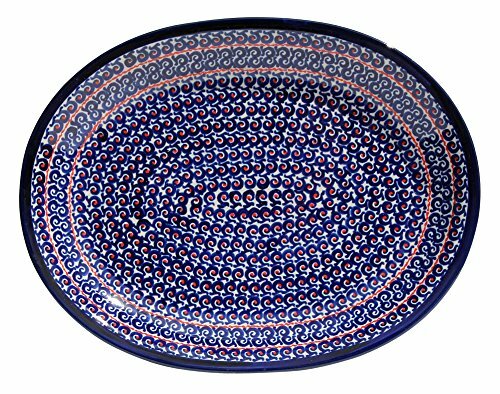 Dimensions: Length: 13.5" Width: 10.5"
Each piece of Polish Pottery is handmade and hand-painted.